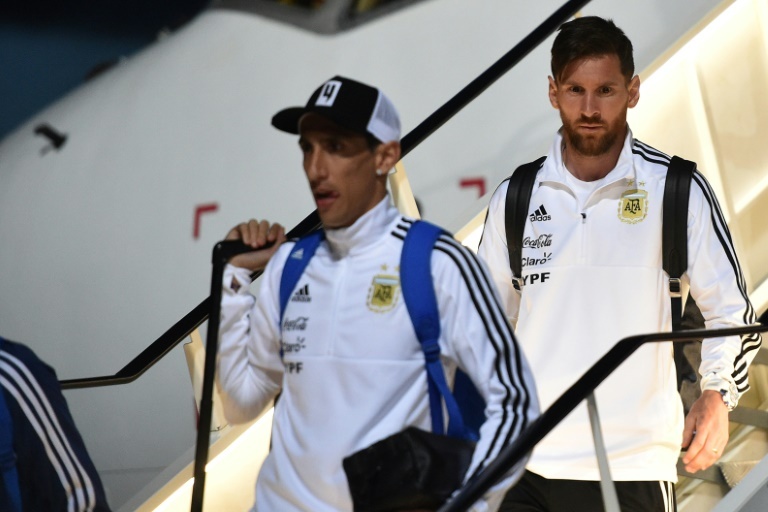 Lionel Messi's Argentina must quickly refocus after finding themselves at the centre of an Israel-Palestinian spat over the cancellation of a World Cup warm-up match following an unconvincing qualifying campaign. The game against Israel, planned for Saturday in Jerusalem, was called off on Tuesday after a campaign by the Palestinians following its relocation from the northern city of Haifa. Palestinians were already angered by US President Donald Trump's transfer of the US embassy from Tel Aviv to Jerusalem in May, which sparked protests in Gaza in which dozens of Palestinians were killed. 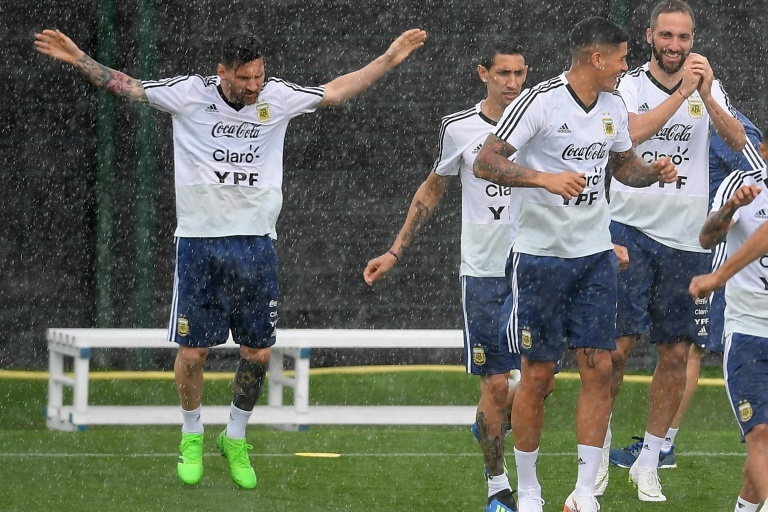 Argentina's preparations for Russia 2018 -- which could be 30-year-old Messi's last World Cup -- have also been disrupted by a serious injury that has ruled out West Ham midfielder Manuel Lanzini. "I have been at five World Cups and this is the best base camp," Souto told AFP. "It has everything, the rooms are comfortable, the coaching staff has its place... there's never been a place like this for the national team." Argentina suffered the crushing disappointment of losing to Germany in the 2014 World Cup final in Brazil and had painful losses, both times to Chile, in back-to-back Copa America finals in 2015 and 2016. Their troubled World Cup qualifying campaign resulted in the departure of coach Edgardo Bauza, with Jorge Sampaoli drafted in as an emergency replacement in May last year. Argentina, drawn against Iceland, Croatia and Nigeria in Group D, are short of recent match practice ahead of their opening match against Euro 2016 surprise package Iceland on Saturday. A 4-0 win against 104th-ranked Haiti in May was their only outing since a humiliating 6-1 loss to Spain in March. Sampaoli's side boast an impressive set of forwards, with the manager able to call on the likes of Angel Di Maria, Gonzalo Higuain and Sergio Aguero. But they struggled badly on the road to Russia, only securing an automatic spot in their final qualification game against Ecuador thanks to a Messi hat-trick. Despite their attacking riches, Sampaoli's side only scored 19 goals in 18 South American qualifying matches, finishing third behind Brazil and Uruguay. Lanzini ruptured the anterior cruciate ligament in his right knee during training on Friday, forcing him out of the tournament, following the earlier injury-enforced withdrawal of Manchester United goalkeeper Sergio Romero. A starter during Argentina's final warm-up game against Haiti, Lanzini looked to have gained favour with Sampaoli. River Plate midfielder Enzo Perez is set to replace Lanzini in Argentina's 23-man World Cup squad, the country's football association said on Saturday.